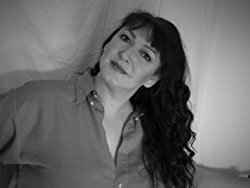 I have the utmost pleasure in introducing you to a fellow author of mine this week, a fellow Scot too, whom I met some many months back during an author event I hosted. Kiltie is such a lovely lady with a crazily hilarious sense of humour that I just had to share her debut book with all my followers. 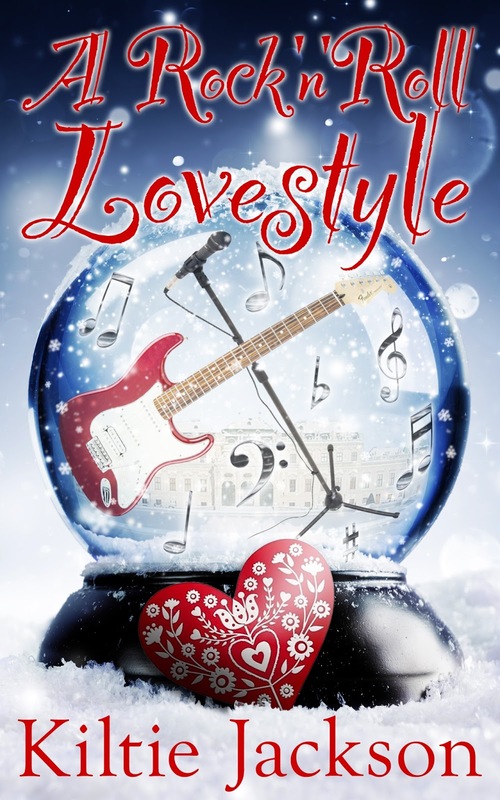 A Rock 'n' Roll Lovestyle is a modern day love story which travels from Austria to London to Italy, as the main characters, Sukie McClaren and Pete Wallace, develop an unexpected, and unlikely, friendship. He is a world-renowned rock-star who is the darling of the paparazzi – regardless of how much he detests the publicity – and she is an office supervisor who can’t even bear to have her photograph taken for the office newsletter. Having been used badly in the past, by ladder-climbing, celebrity-seeking wannabes, Pete no longer trusts anyone and is finding life lonely at the top. Through Sukie, he begins to learn that not everyone wants something from him and that there are people who will go out of their way to make life better for others. Sukie’s lesson is to learn that true love means making sacrifices and that love can only be perfect when people are prepared to compromise. As Sukie and Pete prepare to spend a family Christmas together in Austria, they are unaware that, in Verona, Italy, Eduardo Di Santo is carefully planning his revenge against Pete as payback for the life-changing accident his kid sister had at a Pete Wallace concert three years prior. When Pete announces his new world-tour, which includes a gig in Verona, Eduardo knows this is what he has been waiting for. He begins to make his plans – plans in which Pete’s death is the only acceptable outcome. A secondary sub-plot involves Pete’s manager and long-standing family friend, Jordie Ray, and Sukie’s mum, Beth McClaren. They are two older people who have come to accept that the days of love and affection are behind them. Despite a very rocky beginning, they find they are developing romantic feelings for each other - something neither of them had ever anticipated experiencing again. Their own love story develops in-between the drama unfolding with Sukie and Pete. A Rock ‘n’ Roll Lovestyle is a 21st-century love story. The leading lady is independent, feisty and takes no nonsense from anyone. These traits, however, do not stop her from being a kind, caring and funny person. The leading man is trying to deal with living a life in the public spotlight and highlights how society today puts celebrities upon pedestals where we then try our damnedest to knock them off. Readers of Jill Mansell, Karen Swan and Tilly Bagshawe would most likely find ‘A Rock ‘n’ Roll Lovestyle’ to be to their liking. 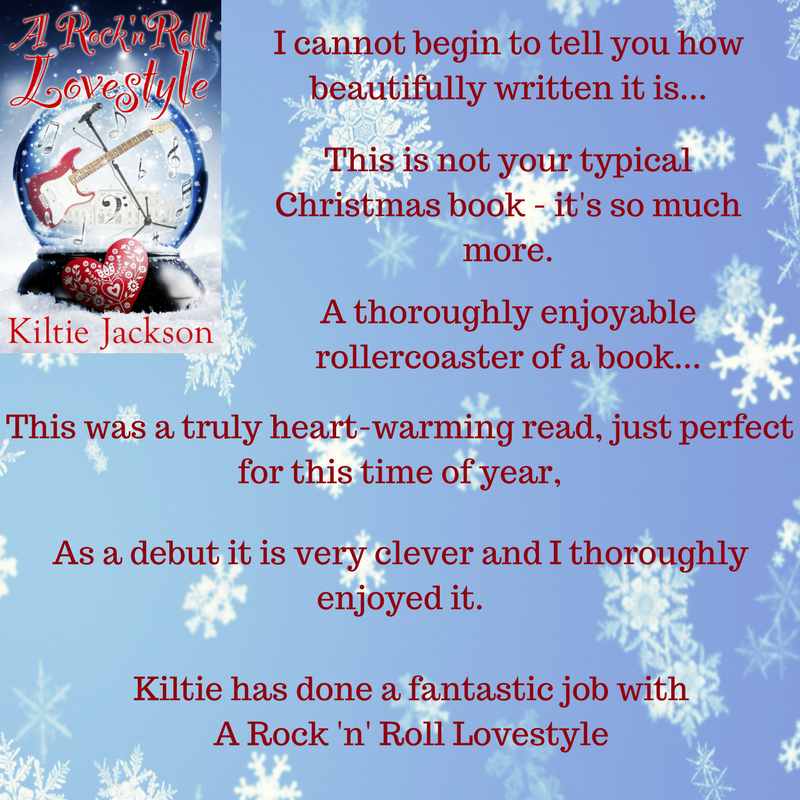 A Rock ‘n’ Roll Lovestyle by Kiltie Jackson can be purchased online from Amazon. Kiltie grew up in Scotland, Glasgow to be precise. A very unique city with a very unique way of looking at life. When she was old enough to do so, she moved to London and then, after several years of obtaining interesting experiences -which are finding their way into her writing - she moved up to the Midlands. She currently lives in Staffordshire with five cats and one husband. The cats kindly allow her and her husband to share their house on the condition they keeps paying the mortgage! Her little home is known as Moggy Towers, even though despite having plenty of moggies, there are no towers! She loves reading, watching movies, and visiting old castles. She really dislikes going to the gym! Her biggest desire is that one day she can give up the day job and write her stories for a living. Kilties two favourite Amazon reviews!!! A truly heart-warming read, perfect for this time of year! Sukie McClaren is over the moon when her boss asks her to attend a business meeting in Salzburg just before Christmas. The reason for her excitement is that this is the setting for her all-time favourite film, The Sound of Music. She plans to take a few days of well earned holiday and extend her work trip for a few days so that she can take in some sights as well as the Christmas markets. While Sukie is busy planning her trip and fizzing with excitement, Pete Wallace, the world's Number One, best selling, male solo artist, is also heading to Salzburg but his feelings are the exact opposite to Sukie's. Despite his fame, Pete is not one for being in the spotlight, but as he's heading out on tour again after a three year break, he has to meet with the press and put himself out there. When Sukie meets Pete at the Mirabellplatz they don't get off to the best of starts as Pete suspects her of being a journalist but after some straight talking from Sukie he realises that he's wrong and their friendship grows. I adored this book! I was immediately drawn to the characters of Sukie and Pete. Sukie is feisty and outspoken but with a heart of gold. She has a close relationship with her mum, Beth, who just wants to see her daughter settle down and marry a nice young man. Pete was endearing as the reluctant pop star, who just wanted to be taken seriously for his songwriting, rather than having his face and private life splashed over all the tabloids and women's magazines. His friendship with his manager, Jordie, was an interesting one. Jordie, having known Pete since he was a young lad just starting out, wanted to make sure that he had Pete's back but at the same time he was getting tired of the lifestyle but was too afraid to speak up as he knows Pete needs and values his support. This was a truly heart-warming read, just perfect for this time of year, curled up with a big mug of hot chocolate and a few cookies thrown in for good measure! It's clear that the author has herself got a love of Salzburg as the descriptions of the area were so crystal clear she could have been showing me photographs of them. I'm not a fan of snow but I could almost feel it in the air as I was reading. I also think that Kiltie shares a love of The Sound of Music with Sukie as her knowledge of places relevant to the film shone through. A Rock 'n' Roll Lovestyle is a thoroughly enjoyable novel and an impressive debut from Kiltie Jackson. I really hope that there's another book in progress as I'd love to hang out with Sukie again and find out what comes next for her. 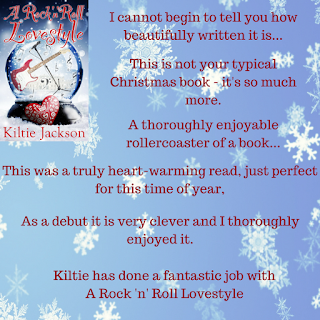 Kiltie Jackson's debut novel A Rock 'n' Roll Lovestyle is a thoroughly enjoyable rollercoaster of a book from the beginning to the very end. It's not the kind of book I would usually go for but something about it piqued my interest and I'm eternally grateful that it did. From the first page I was immediately drawn into the life of the main characters Sukie and Pete and whizzed through the book at record speed, in fact I was a little disappointed when it ended as I wanted more. I loved the main characters and truly feel that Kiltie has put her heart and soul into them. They are well written and by the end of the book you feel like you know them well enough to call them friends. Special mention also should go to the secondary characters in the book as they are just as perfectly written. As for the setting, Salzburg is one of many places on my bucket list and after reading this book it has moved up a few places. Sukie and Pete's adventures through the city had me wishing I was there, while also feeling a little like I already was. While reading, I was able to picture the setting with ease thanks to Kiltie's amazingly descriptive writing. All in all I loved this book and can't wait to read more from Kiltie, in the meantime I think someone should drop a copy off with Richard Curtis as this has all the makings of a fantastic Christmas rom-com - move over Love Actually.